Next Studo Conversion Day 1 – We’re Off…!!! 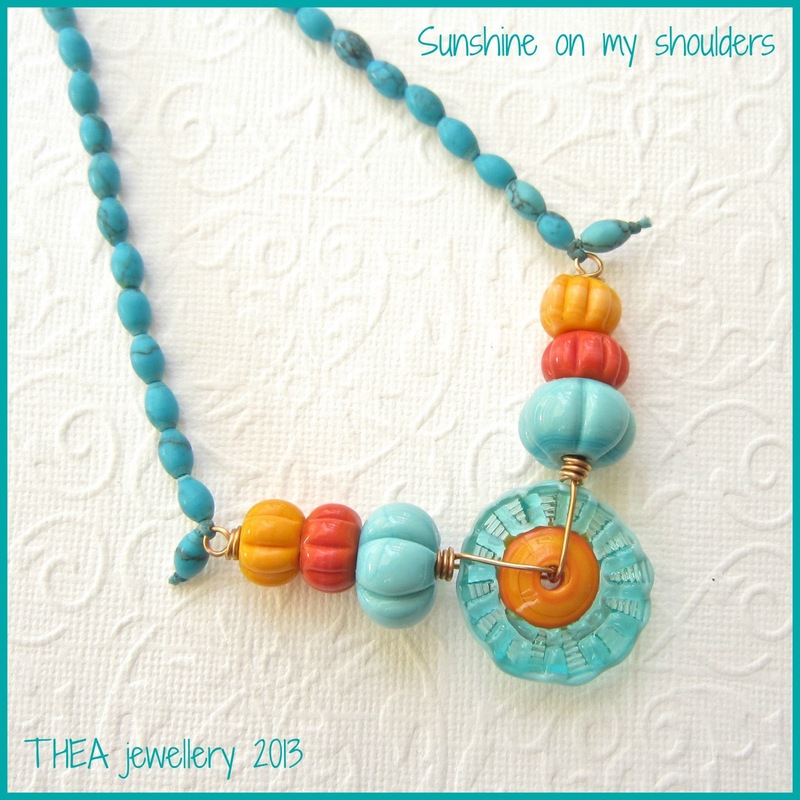 Love it – you are right – it is sunshine!! I love it Lesley, full of beautiful sunshine!! Fun to see what we both did with our same disc 🙂 I'm a huge fan of pumpkin beads, so I definitely can appreciate this! Very fun & summery. This is so pretty. I love the simplicity of it to let the disc shine. And the beads you added are just the right pop of color to match and make the disc stand out. Thanks for stopping by my blog to see my creation. What great colors! I love how this came together! You better put it on asap !! So gorgeous! Those colors are perfect! I think it's perfect! I love the design…simplicity seems to be a common theme this month. Love your design, yellow's not my first choice either, but this is gorgeous! Really lovely design and the colours are fantastic! Beautiful necklace! I really love those pumpkin beads … they look great next to Sue's ruffle disc! Lesley, I love this piece! The peacefulness of the sky blue and the subtle energy of the sun makes me want to go right out in the rain and DO something! I love your necklace Lesley! Its not quite as bright/glaring as mine turned out to be and I think I prefer yours! lol! I love your necklace Lesley! 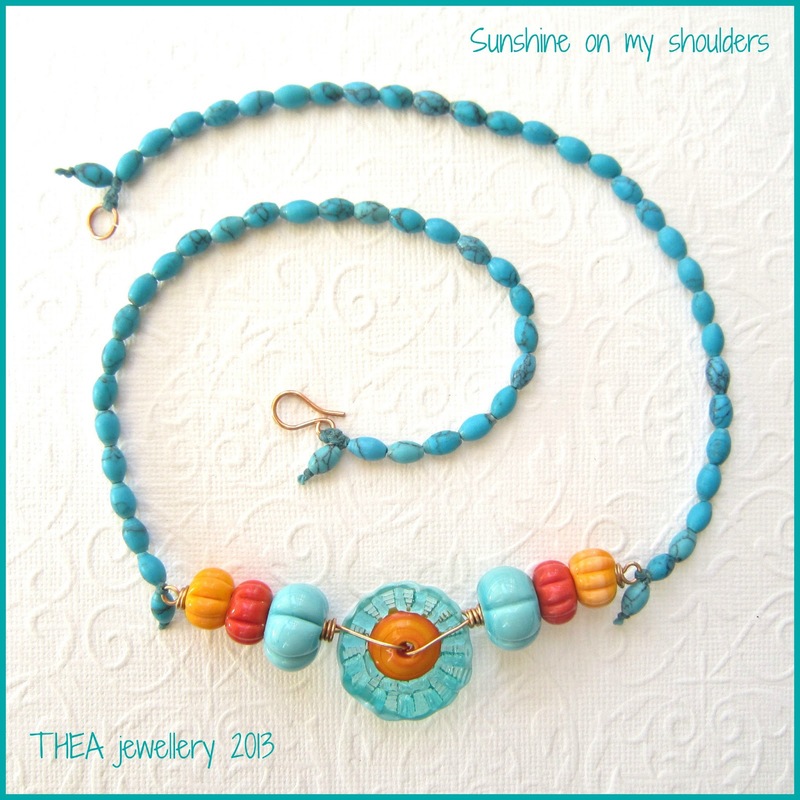 It will definitely bring sunshine! I love it too! Your necklace is fantastic!!!! My first impression is that the pumpkin beads are a great shape/ texture. I really like the triad of color, it creates balance to me even though the palette is very complementary. You nailed it!